Located at the historic Links of Groveport Golf Course, the Paddock Pub & Links Event Center opened in April 2016. The formerly private country club was built in 1929 and features immaculately-kept fairways and beautiful wooded scenery, providing a picturesque backdrop for a meal or event at the course. Open daily for lunch and dinner to the general public, as well as golfers taking in a round on the professional golf course, the Paddock Pub provides a casual dining experience, serving American fare with homemade, fresh offerings and friendly, professional service. Along with the restaurant, the course boasts the Links Event Center – a versatile meeting space perfect for any special occasion. With ample space for groups of 25 to 250, the Links Event Center is a top destination for weddings, corporate meetings, family celebrations, golf outings, or any special event. The Paddock Pub & Links Event Center is another entry into the central Ohio dining scene for Scott Heimlich’s S2 Hospitality Group. With more than 20 years of restaurant and hospitality expertise, S2 also operates Barcelona, a renowned global dining experience in Columbus’ historic German Village. 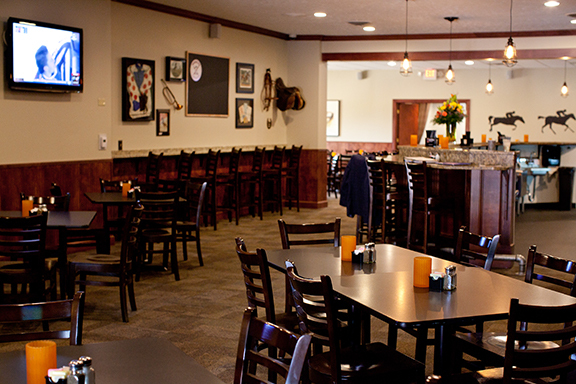 Join us today at The Paddock Pub, where great food, drink, and hospitality await.